In November we celebrated Pak Peter’s 70th anniversary. 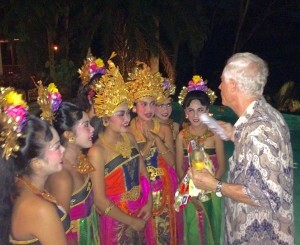 It was a special highlight when 8 of my balinese children came on stage and danced for our guests. Well done and thank you Putu Ani, Komang Boni, Sugi, Komang Yuli, Komang Kecil, Duik, Putu Eva and Ayu!